It is no secret that we are golfers here at Bows & Boats, and anytime we can get out to the course we do. One thing that tends to keep some golfers away from the course is a daunting sky. As long as their is no lightning in the area and there aren’t torrential downpours, we have no problem teeing it up with a little precipitation falling. While traditional rain gear keeps you dry, sometimes the lack of breathability (especially on those muggy summer days) means you end up just as wet with sweat. Luckily, we recently got to check out the All Weather Shorts ($90) by johnnie-O. Not only did they solve the rain gear issue for summer, they have proven to be a great option for days on the water, or days where we have no idea what is going to get thrown our way. Even though we have a soft spot for bowties, that doesn’t mean standard neckties aren’t a bit part of our wardrobe, from printed silks, to madras, to wovens, we have them all and wear them frequently. One pattern that will never go out of style is a simple stripe. 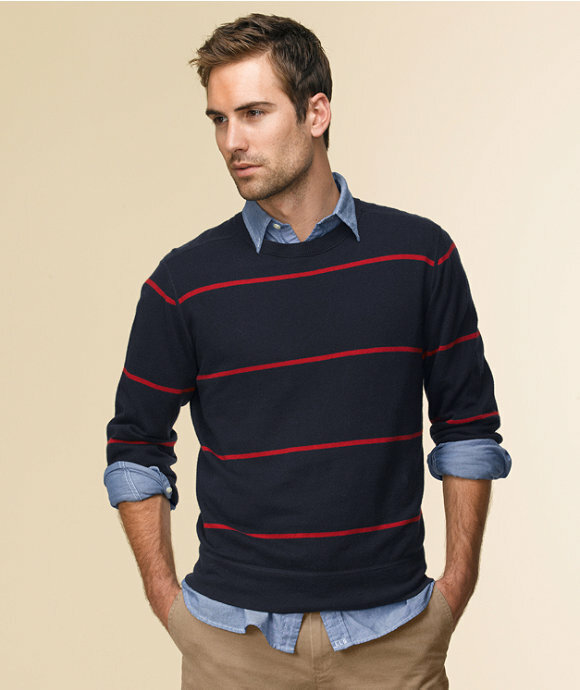 As long as the colors compliment the rest of your ensemble, a basic stripe is never going to be a bad choice. 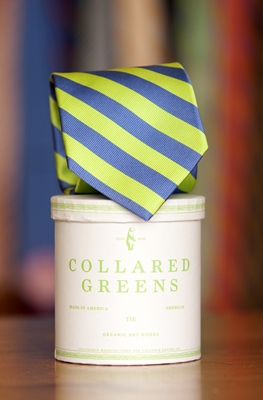 The Drake Tie ($85) by Collared Greens is a perfect example of how such a simple design can look so good. 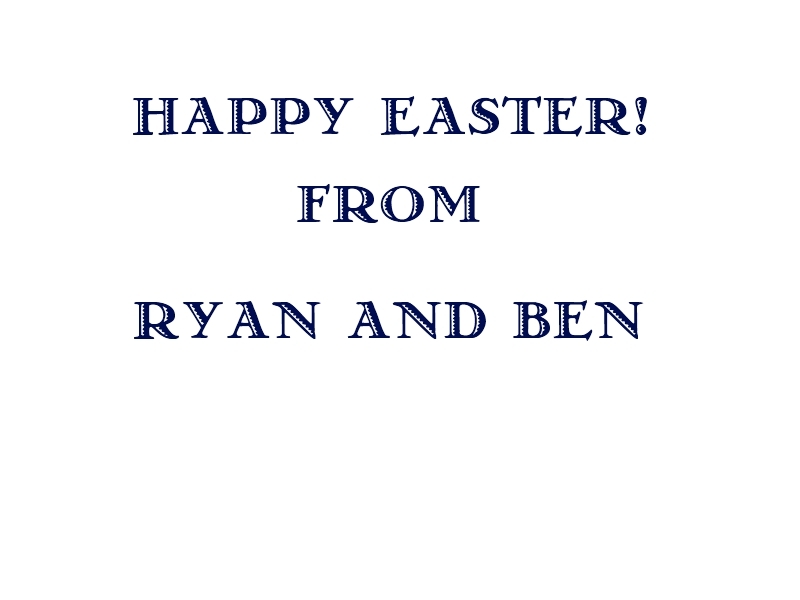 Well, Easter has come and gone, and while some will wait until Memorial Day to break out their summer suits, here at Bows & Boats, we use Easter Sunday to officially kick off summer suit season. Lighter fabrics and lighter colors are key for the warm weather months and suits are no exception. 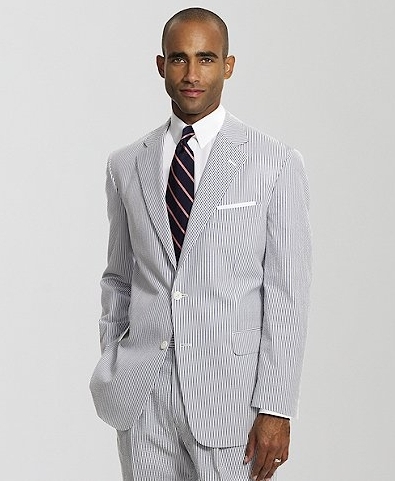 A summer suit that is an absolute pillar in our collection is Two Button Seersucker Madison ($398) by Brooks Brothers. A couple of weeks ago we talked about our visit to Commonwealth Birding down in Amelia Court House, VA. While we have already explored one part of their business, guided hunts, there is one piece we have yet to really dig in to, their apparel line. While most companies tend to focus on one thing or the other, the experience, or the apparel, Commonwealth Birding is working to bridge that gap and create a line of apparel that is truly tied to the lifestyle it portrays. After our hunt last month, Commonwealth hooked us up with a number of pieces from their building line of apparel and accessories, needless to say they have all been well used ever since. While many of our favorite summer activities revolve around the water, that doesn’t mean that all of our free time is spent on a beach or on deck somewhere. This time of year some of the best events take place far from the water and on dirt. From steeple chases to polo matches to the triple crown, the time to see horses run is upon us, and Vineyard Vines is really stepping up their involvement in the equestrian world by becoming the Official Style of the Kentucky Derby. While pieces of their Derby collection are still being unveiled, one that really caught our eye was the Jockey Silks Dress ($275). Even though you don’t need to go all out with ski jackets and wool sweaters this time of year, that doesn’t mean layering isn’t important. Sure, temperatures are up, but there are definitely going to be days that start and end with the need for an extra layer or two even if the middle of the day is absolutely perfect. One of our favorite things to layer with this time of year is a simple lightweight sweater. The Cotton Cashmere Crewneck ($69) by L.L. Bean Signature is a great pick for those days when you need a little something extra and don’t feel like dealing with a jacket. There are a handful of companies that can claim that they have been making quality products for over a century. It doesn’t matter if it is clothing company, a bag maker, a cobbler, or anyone else, if you are still in the same business you were in before Model T’s started rolling off the line, you must be doing something right. One such brand is Filson, and their high quality outdoor gear has been a staple of many outdoorsmen’s wardrobes since the 1800’s. The best thing about companies like Filson is that their everyday wear is normally made of the exact same high quality materials that are used to make more specialized items. 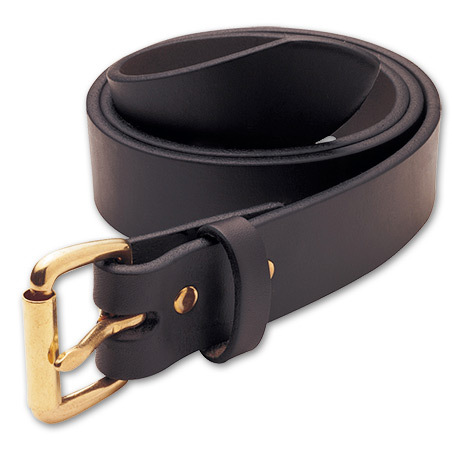 One such item in the Filson collection that proves this point is their 1 1/4″ Leather Belt ($49.50). Anchor-Star Croakies by Starboard Clothing Co.
A couple of months ago we formally introduced you to Starboard Clothing Co., a company that is a labor of love for one of our co-founders, Benjamin Meredith. Since that post, business at Starboard has really taken off and the product line is beginning to expand. On Wednesday evening Starboard introduced their latest piece of neckwear, Anchor-Star Croakies ($10). One thing we really like to see at Bows & Boats is a brand that makes products for a somewhat specialized field, yet still manages to make them good looking enough that consumers who have no connection to that field whatsoever take an interest in the company. For example, brands like The North Face and Patagonia have managed to introduce high quality adventure gear to the masses while still producing products that will stand up to the toughest conditions imaginable. A brand in the sailing world that we have seen following this trend is Atlantis WeatherGear, and, if their current line is any indicator, we think you are going to be seeing a lot more of their products very soon. 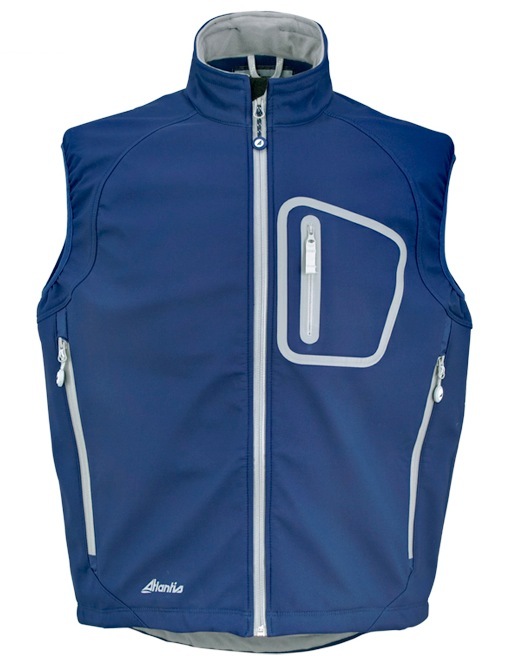 Recently, the team at Atlantis sent us one of their Grand Prix Softshell Vests ($125) so we could see first hand what the company is all about.